While many clients come to the office stating their intention to “avoid probate,” a lot of those same people are not really sure what probate is. The simple answer is that probate in Ohio is a court supervised process to administer certain property owned by the deceased. We call the property that requires probate administration “probate property.” The probate process involves identifying and protecting probate assets of the deceased, receiving and evaluating the validity of creditor claims, making sure taxes and expenses are properly handled and distributing remaining assets to those entitled to receive them. The manner in which property passes upon one’s death depends upon how the property is owned. Property may be owned in a way in which it passes automatically to another though a beneficiary designation. That could be in the form of a payable on death (POD) or transfer on death (TOD) beneficiary, for example. 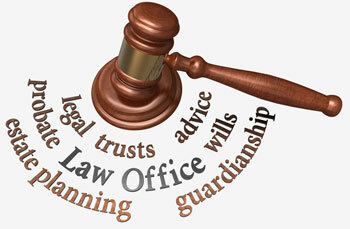 We would describe such property as “non-probate” property. You could also own property jointly with a right of survivorship, which means the survivor automatically becomes the owner of the whole or you could own property in a trust (also non-probate). For property that is not owned to automatically transfer the decedent’s interest to another, the probate court process is typically needed to order the transfer to the appropriate party. We would describe that property as “probate property.” Probate property requires the authority of the probate court to transfer the decedent’s interest in the property to another. In addition to adding some administrative process to the transfer of assets, the probate process is an open one through which privacy is somewhat lost. The transfer of assets through the probate process is guided by one’s Will or, if one has no Will, by the inheritance laws of the state of Ohio. File a final distributive account or certificate of termination to close out the probate estate within six (6) months of the appointment of the fiduciary or extended period permitted by the court. ARTICLE: I always hear you should avoid probate... Why is that?